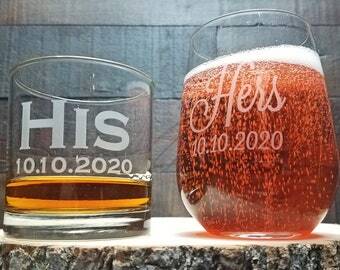 Announcement The Engravery - Custom Engraved Gifts. We offer the highest quality laser engraving backed by our lifetime guarantee. We feature engraved glassware that is elegant, durable, and unique. - All of our designs are permanent. - All engraving has a lifetime guarantee. 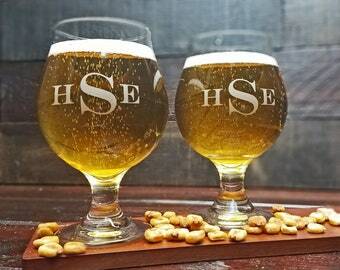 - All of our glassware is dishwasher safe. 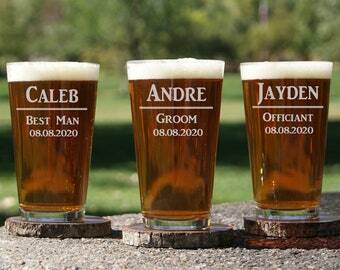 Nearly every occasion will be enhanced with the addition of personalized glassware! The Engravery - Custom Engraved Gifts. Awesome customer service with prompt response time! 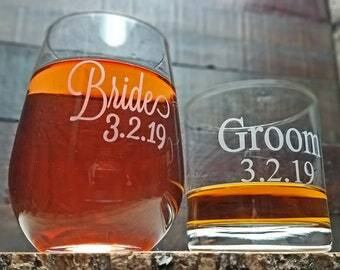 I ordered 8 glasses as bridesmaids gifts for my wedding. I was so glad I could choose whiskey glasses for my whiskey loving girls and wine glasses for the rest. Everything was packaged very carefully with bubble wrap and arrived within 2 days! I highly recommend The Engravery! - All of our products are dishwasher safe. - Crafted for everyday use. - Lifetime guarantee on engraving. 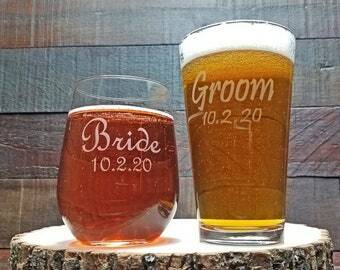 - Our designs are drafted in-house and then engraved onto the glassware of your choice with professional grade equipment. - All of our glassware is crafted in the USA. - Shipping Insurance is included with every order. - Tracking information is provided with every order and will be uploaded to your Etsy account as soon as available. - We draft all of our designs, using professional graphic design software, in our Denver, Colorado studio. - We use the highest quality materials available and hand select each item to be included in every order. - We pay close attention to detail to ensure accuracy and we will not hesitate to reach out if questions arise. - That said, we are still creating handcrafted art and each piece may have its own thumbprint. - Our collection is ever-evolving. New items and designs are introduced throughout the year. - The way we see it... the sky's the limit! - We accept custom requests. We are so thankful for the opportunity to live our dream and we would be more than honored to be part of your celebration. 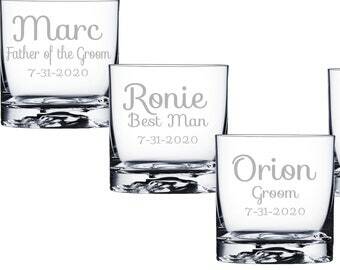 Personalized glassware adds that 'special touch' to any occasion and creates a lasting keepsake your family and friends will forever cherish. Our production time is currently 4-5 business days. Please allow an additional 2-3 days for delivery. Rush processing available for purchase during checkout. 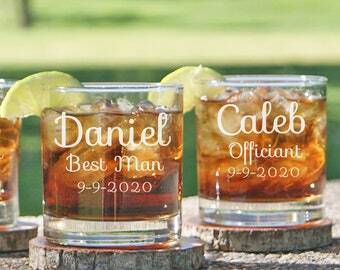 I'm ready to check out but where do I provide my engraving details? Please provide engraving details at checkout in the "note" to seller section. If left blank, we will contact you to collect this information. All of our designs are permanent, guaranteed for life, and dishwasher safe. We include shipping insurance with every purchase. Items damaged during shipment will be recreated and shipped within two business days, and we file all necessary insurance claims. We guarantee safe arrival of all items ordered! Feel free to call us any day of the week, 10am MST - 6pm MST.